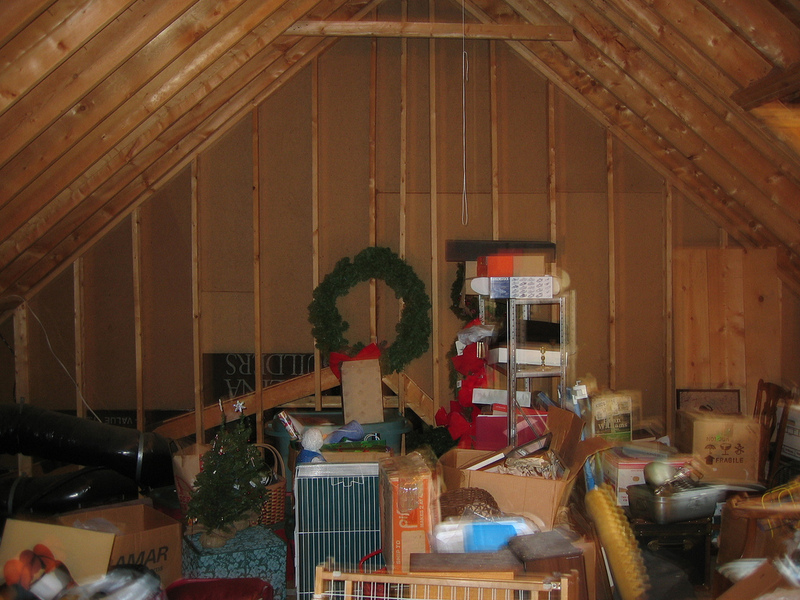 A DIY attic clean out is one way to get organized and free up storage space. 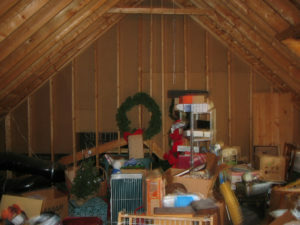 Your attic isn’t somewhere you often venture but cleaning it out is long overdue. You take a quick peek into the space and are immediately overwhelmed by the sheer volume. Now, you’re really dreading the prospect of having to clean it out because you know it won’t be an easy task. One thing you can do to really lighten the load and make cleaning it up go a lot faster is to phone a junk hauling service to take away what you don’t need and/or do not use. Before you make the call, organize the space a little bit so it’s easy to identify what has to go. Begin by placing and separating the items which will be picked up. These should be staged close to the entrance and exit for ease of quick assess. After the junk hauling service has picked up and hauled away those items, you can clean your attic with a lot more room to maneuver. Go through every box. You probably don’t want to do this, but it’s unavoidable if you are really serious about reclaiming all the wasted space. You’ll likely encounter a lot of things you’ve long forgot about and might come across a few treasures. Clean the structural items and fixtures. Your attic is likely to be a dustbin of sorts, so clean the rafters, window(s), and fan. Also, dust the light(s) and the door frame and don’t forget about the shelving if your attic is equipped with these fixtures. Clean up any droppings. You’ll probably find more than a few rodent droppings in your attic. For these, you should put on a dust mask and vacuum them up. Check the perimeter of the space for any holes and the insulation to see if any of it has been chewed. While you’re cleaning out the attic, take careful notice of any water stains, mold, or mildew. If you discover any of these, you’ll have to address the problem as soon as possible. In addition to these, you ought to be checking the interior side of the roof and look for signs of wear and tear. Any warping or splitting is a sure sign that the roof needs to be repaired or outright replaced.If you need an attic clean out done, just phone 800-433-1094 or visit Junk Garbage Removal.